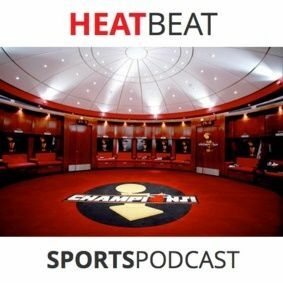 Gianni and Brian try to discuss Miami Heat Preseason basketball but lament on Roy Halladay's career and how the 2010 Miami Heat could not tank their last regular season game that ruined their clear path at the NBA Finals. We reveal a new segment: "Would you recognize this person if he were standing in front of you at a Starbucks?" And Brian tells Gianni that he's wrong and that the Heat will indeed three-peat. Send us your feedback and/or questions and we'll shout you ... See More out and read it on the show!